This is a special bonus episode in response to a beautiful outpouring from a Sparkler inside our private Facebook Group. Her anticipated art show generated only a few attendees and as we can all imagine, low attendance just doesn’t feel great. I know I’ve coordinated many art shows that ranged from just a few parents here and there to shoulder to shoulder crowds. 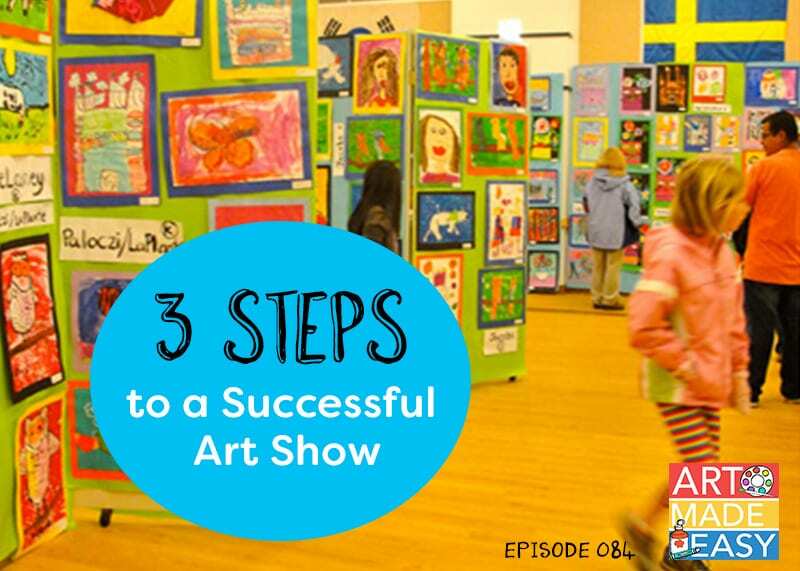 This episode shares 3 simple steps to ensure that your definition of success doesn’t start at the opening of the show. Hi, I appreciate all the Sparkle has to offer but am I the only person who prefers to read instead of listening or watching pod casts? Sometimes I wish that there could be a text version of these excellent resources. Right now, my podcasts are entirely audio. This means you can listen to episodes on the go. We operate the podcasts completely ad-free but are brought to you by Deep Space Sparkle. Since we don’t advertise or charge for this free service, we haven’t invested in transcription services yet. We will certainly keep this in mind. Thanks for being a listener! You are not alone about the podcasts. I like text so that I can read later. As a sparkler member do I get access to the art show guidebook for free or I have to still purchase it?